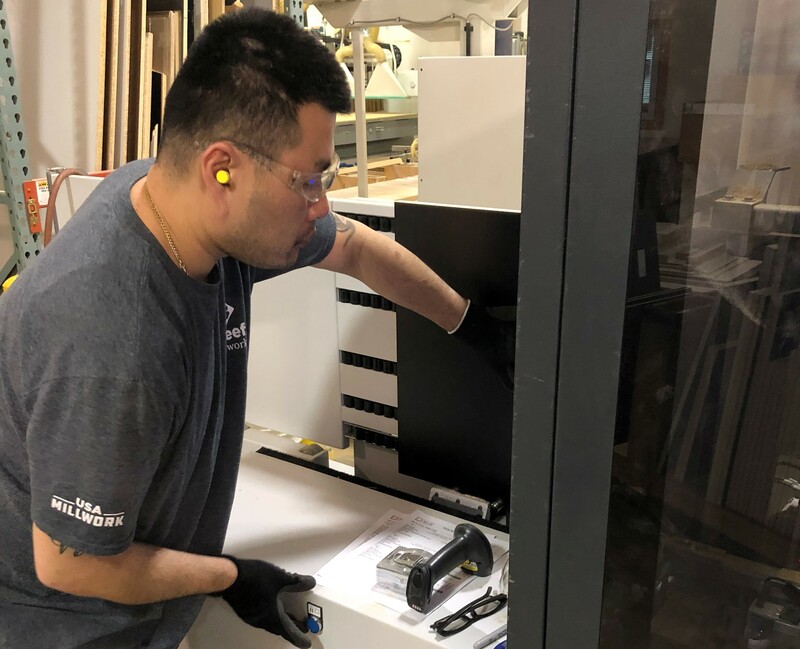 Cino Sao, a St. Paul College Cabinetmaking grad, operates a Biesse machine at O'Keefe Millwork. St. Paul grad Andrew HIlby, left, with Jeff Stanway, plant manager of O'Keefe Millwork. St. Paul grad Gabe Lancaster uses a portable router to clean up the edge of a panel. O’Keefe Millwork has found St. Paul College’s Cabinetmaking program to be a go-to source for woodworking talent. 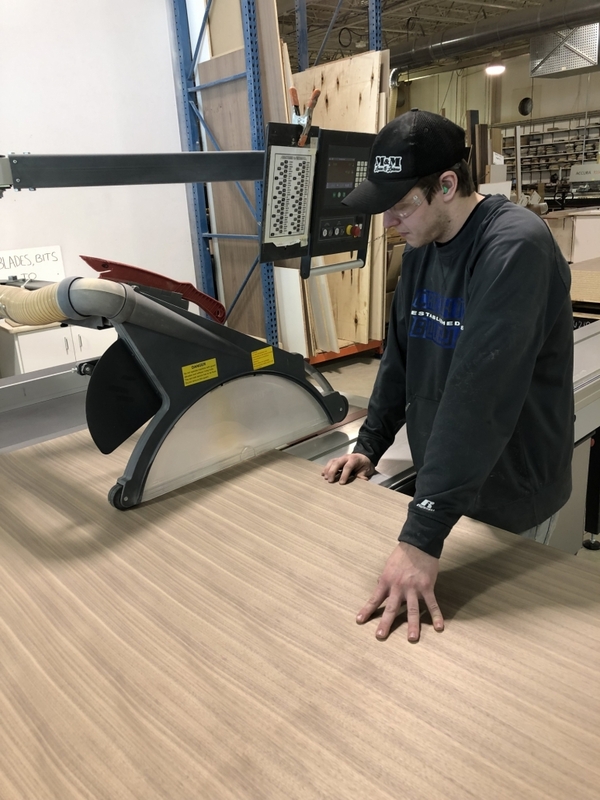 In an era when wood product companies of all sizes, types and locales are hard-pressed to find employees, it comes as no surprise that St. Paul College’s Cabinetmaking Diploma program boasts 100 percent placement of its graduates. One of St. Paul’s regular recruiters is O’Keefe Millwork of River Falls, WI, about a half-hour drive from St. Paul. 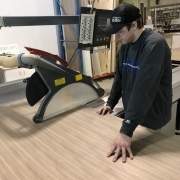 O’Keefe, a member of the Architectural Woodwork Institute, employs nearly 60 people to manufacture architectural millwork, cabinetry and custom fixtures. 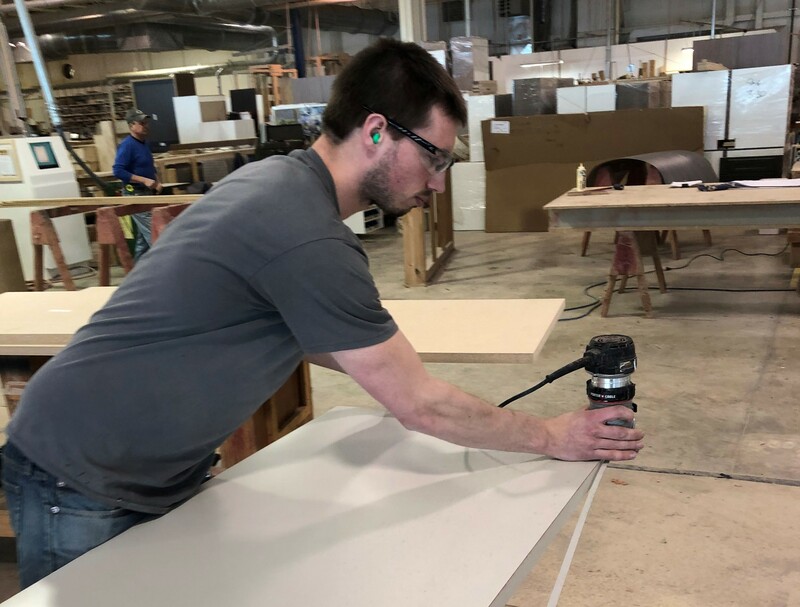 The St. Paul Cabinetmaking program is designed to expose students to a wide-range of tools and equipment used by cabinet manufacturers, including portable power tools, table saws, edgebanders and CNC routers. Stanway cites a couple of examples of O’Keefe employees who have more quickly advanced through the ranks because of the skills they learned at St. Paul College. “One started out in 2013 in cabinet assembly, but soon moved into custom assembly is now a lead builder. Another started in 2016 and now works in our custom department. We put in a new Homag widebelt sander a year-and-a-half ago and he’s one of the operators. He’s doing a great job,” Stanway says. Hillstead has been a WCA accredited skill evaluator since 2012. Since then, he has evolved his curriculum by integrating the WCA Skills Standards and credentialing program. Hillstead says each student is required to purchase a WCA Passport membership at the start of the Fall semester. 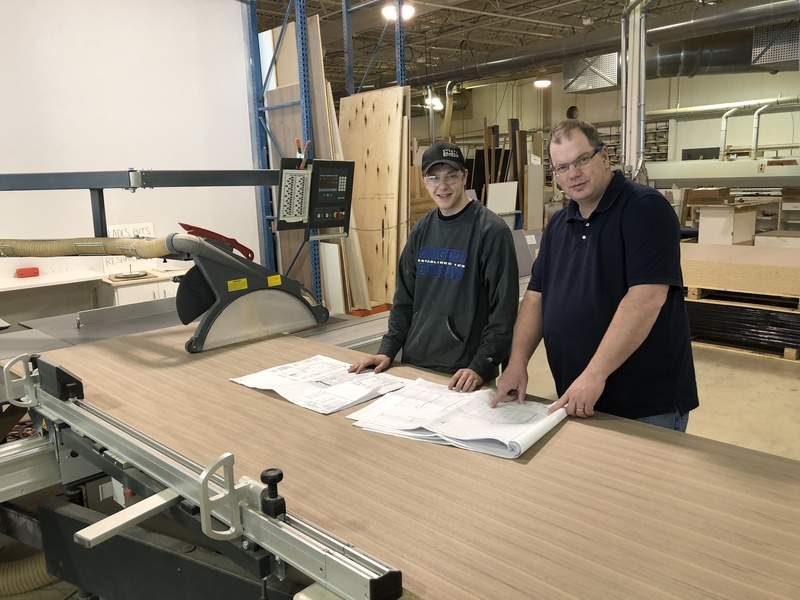 “They get tested to earn their Sawblade certificate in the fall on things like measurement, layout, the table saw, jointer, drill press, and sanding. They can be evaluated on more, but I don’t make it a requirement,” Hillstead says. The Spring semester includes a class called Industrial Machining Methods. “This is where we get into some of the non-traditional equipment like edgebanders, CNC routers and the dowel insertion machine. Toward the end of the semester, a student can request to be evaluated on particular machine operations to earn additional tool stamps. I tell my students that their WCA credentials will give them a leg up in the job market,” Hillstead says.